Trims available with the N76 are apparently aimed at the fashion conscious audience – these are the classic black and so popular among women red. The handset is easy to hold in hands with the clam closed and it does leave a very strong impression – after all, it is a feature-packed smartphone with a whole lot of attractiveness inside. But otherwise eye-candy phone lacks ease of use – trying to flip it open reveals that not everything is about sunshine and rainbows there. 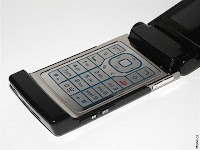 The flip action is somewhat clunky due to the hinge lack auto-spring mechanism, so that the clam freezes half way up, and that is not all – the casing’s width and design don’t allow for opening the handset single-handedly, so you always end up using both hands. The phone supports Java™ games & Java™ applications which provide the user with a fun & lively feel to their gaming experience. 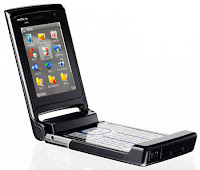 The user can play games, listen to music, take photos, record video, send emails & messages on their highly capable Nokia N76. The 3G smart phone comes with a RealPlayer media player which allows the user to listen to music & watch video with ease. The built in music player supports all popular formats of music files which include MP3, WAV, MIDI, AAC, eAAC, eAAC+, M4A & WMA. 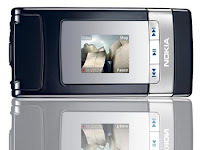 The user can download their favourite music onto their phone using one of the connectivity option on the Nokia N76 & enjoy having their music with them at all times. The music player comes with a play list feature which allows the user to manage their music easily. The user can gain the best quality sound for the style of music they are playing by using the built in equaliser. The N76 comes with a FM radio which allows the user to gain access to the favourite FM radio stations & listen to worldwide news & weather reports from their mobile phone. The N76 comes with a high quality & fun camera feature which allows the user to take photos, edit photos, save photos & share them with other contacts. The camera is a 2 megapixel camera with a Carl Zeiss Optics Tessar™ Lens. The camera comes complete with 20 x digital zoom & a LED flash which ensures a clear & precise photo is capture each & every time the camera is used. 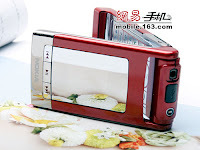 The user has the freedom to take photos when the phone is in the opened or closed position with the use of camera capture keys being situated externally. The camera feature comes with many useful & exciting camera modes & photo setting which allow the user to gain the perfect finish for their photos. The screens work as viewfinders for camera & video features. 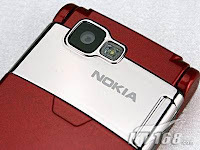 In terms of internet functions, the Nokia N76 has a Nokia web browser, with Nokia Mobile Search which offers online accessible maps and Mini Map, which makes reaching services like Flickr and Amazon easy.